For many, football is simply known as ‘the beautiful game’. 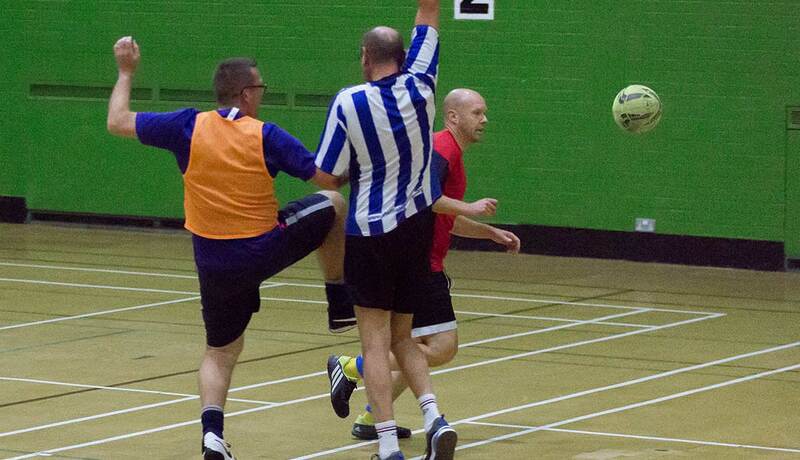 Playing football involves strength, stamina and co-ordination and provides a great workout without even realising. Football is great for fun, stress-relief, and exercise as well as a great opportunity to get social with your mates or competitive with another team. 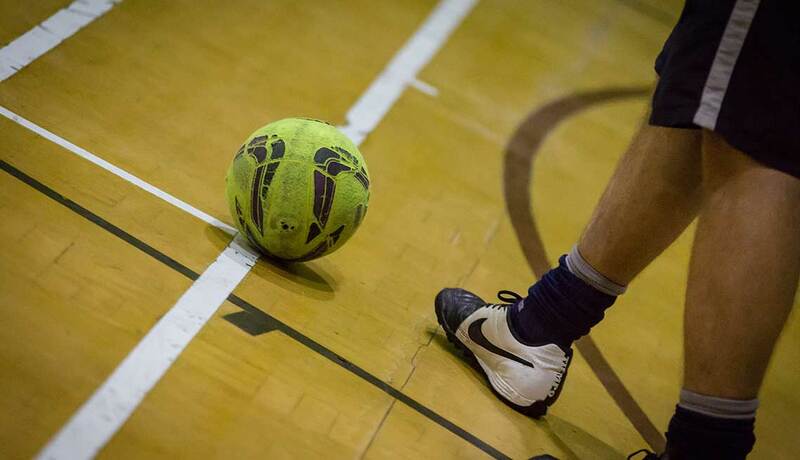 Our sports hall is marked out and goals are easily set up for 5-a-side casual one-off games or block bookings. 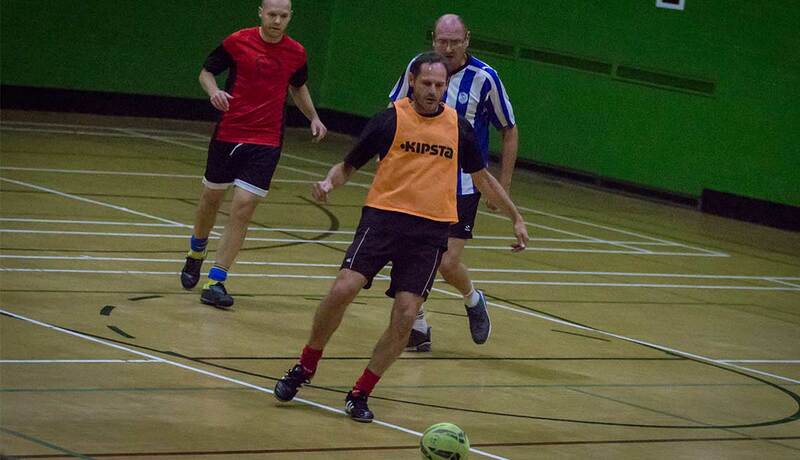 You can hire our sports hall from as little as £22.95 for a game of football. We welcome bookings from groups of friends or football clubs and can cater for tournaments or the whole season. There is seating for spectators along with excellent changing facilities and showers. 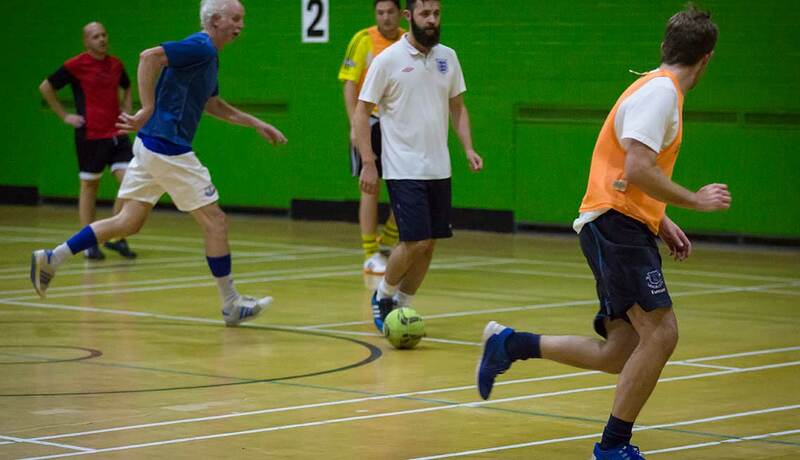 If you’re 50+ and still want a kick about, try our Walking Football! Get a work out whilst meeting new people and having fun. Whether you have played football before or you’re a beginner to the sport come and have a try. 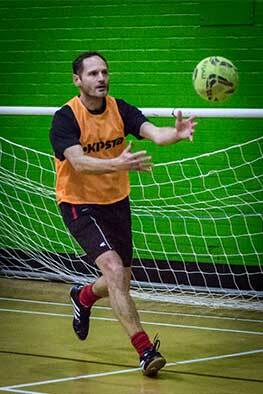 Our walking football session is every Thursday from 12 noon to 1pm, its very popular so please call the centre to book a place. For details of football clubs that are located at Stockbridge Community Leisure Centre please visit the clubs and associations section on the website.